♪ How to Buy/Choose A Good Cello? ♪ How to Choose A Cello Size? ♪ How to Prevent Cello Pegs from Slipping? ♪ Why Cello Pegs Slip? ♪ How to Choose a Good Piano? ♪ How to Do Vocal Warm Ups/Vocal Exercises Before Singing Exam? ♪ How to become a singer/recording artist? ♪ What Singers Should Eat & Drink? ♪ Trinity College London Music - What to Bring to Music Exam? 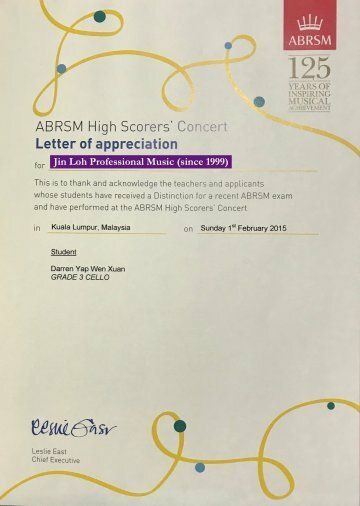 ~ Miss Jin Loh's music student was specially invited by ABRSM (UK) to perform in ABRSM High Scorer's Music Concert. 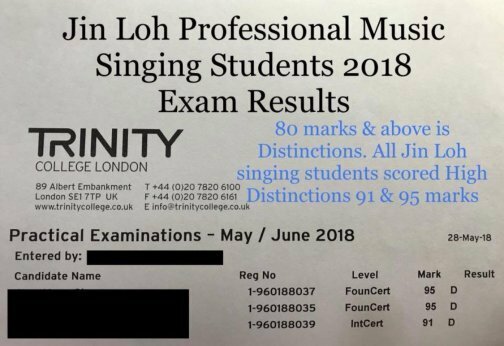 All Miss Jin Loh's singing students scored High Distinctions 95/100 marks and 91/100 marks. Miss Jin Loh is all the students' first singing teacher. 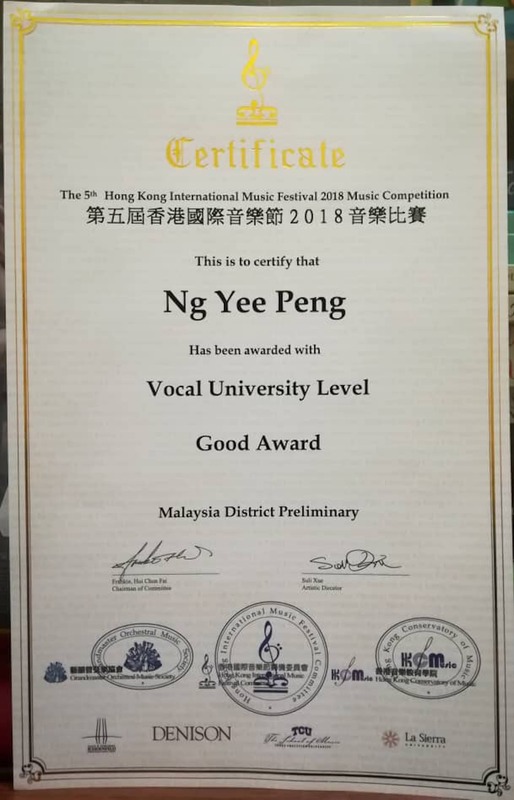 Congratulations to Miss Jin Loh’s Singing student, Celine See, for scoring a Distinction on her singing exam. She was marked by a professional female singer examiner with 30 years of singing experiences; sang with New York Philharmonic Orchestra; a founder of a singing academy..etc. 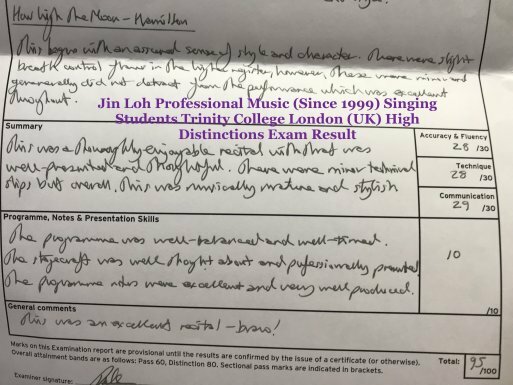 She gave Miss Jin Loh’s singing student a Distinction, 87/100 marks. Miss Jin Loh is the students' first singing teacher. Cello Questions: Why my cello pegs keep slipping? What are the reasons that cause slipping cello pegs and sticking cello pegs? Why does my cello tuning keep slipping out of tune? The cello pegs may slip if we do not push the pegs in a little, while we turn the cello pegs. This helps to 'lock' the cello pegs inside the cello peg box. The cello peg would not be able to pushed in far enough to hold the tuning properly, if the cello string hole on the peg is too close to the peg box wall. Solution:; a) Change another new cello peg; b) Drill a new small hole further in the same cello peg that matches the string thickness. 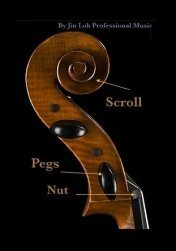 If the cello pegs or the cello pegs holes are indented, not perfectly round, it causes the cello pegs not able to stay put. This slipping and sticking cello peg problems are found more often in lower quality student cellos, where cellos are just mass produced by factory without much attention or care given on the cello's construction details..
Cello pegs tend to dry out easily especially during winters when the humidity level is very low. Solutions: Avoid keeping your cello near heater/heat vent, radiator. The cello pegs may slip and go out of tuned if the cello woods contract or expand. Try to avoid a sudden temperature changes (big differences) from a cold place to a hot place or hot place to a cold place. Solution: If you need to move your cello from a hot place to a cold place or vice versa, try to let your cello get used to the room temperature over some time . If possible, keep or store your cello in room temperature environment. Avoid keeping your cello in basement, attic, heat vent and radiator. 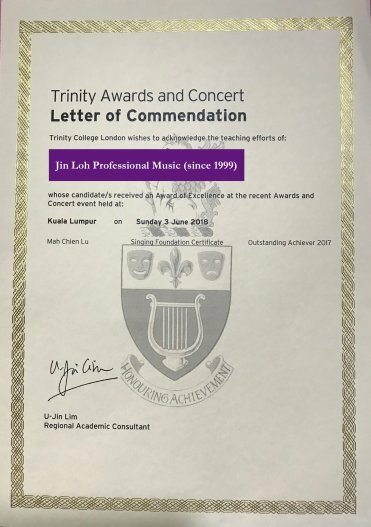 Miss Jin Loh is a music educator, music adviser, free-lance music arranger, a trained classical & jazz musician and a vocal coach/vocal instructor. She plays and teaches 6 musical instruments: cello; classical & jazz piano; flute; electone (electric organ); guzheng and vocal/singing. Recently she attended seminars on "Music Psychology" and "Music Therapy" to widen her knowledge in various music fields. 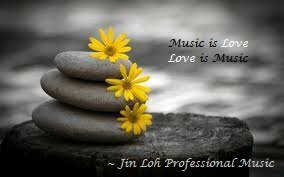 Miss Jin Loh is an experienced music teacher who has been teaching music for 19 years. - All students pass with High Distinction (95/100 marks & 91/100 marks). - All student pass with Distinction (80 marks & above /100 marks). - Congratulations to Bih Ling for scoring High Distinction almost FULL mark, 98/100 marks for her theory exam. - All students pass with Distinction (80 marks & above /100 marks). - All students pass with Distinction (130 & above /150 marks) except 2 students scored Merits (127/150, 124/150). 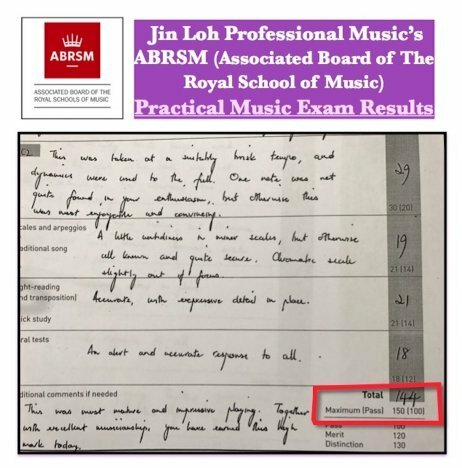 - Congratulations to Wen Yan who scored 138/150 High Distinction for her cello ABRSM exams. - Congratulations to Chloe for scoring High Distinction almost FULL mark, 99/100 marks for her theory exam. - 100% pass for music diploma students' exams. - 70% of Miss Jin Loh's cello students scored High Distinctions. - Congratulations to Darren who scored a High Distinction 144/150 marks, Isabella scored 138/150 High Distinction for their cello ABRSM exams. - Grade 6 music theory exam student - all Distinctions; Grade 5 music theory exam student -all Distinctions (90-100 marks). - 100% pass for diploma music students' exams 2013 year. - 13-year-old Japanese student - Miss Imamura, scored a Distinction (80-100 marks) for her ATCL music diploma exam. 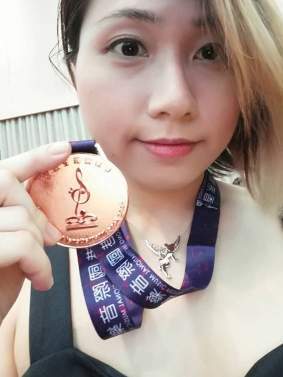 It was her first time taking the ATCL diploma music exam.